Last major update issued on January 3, 2007 at 05:20 UTC. 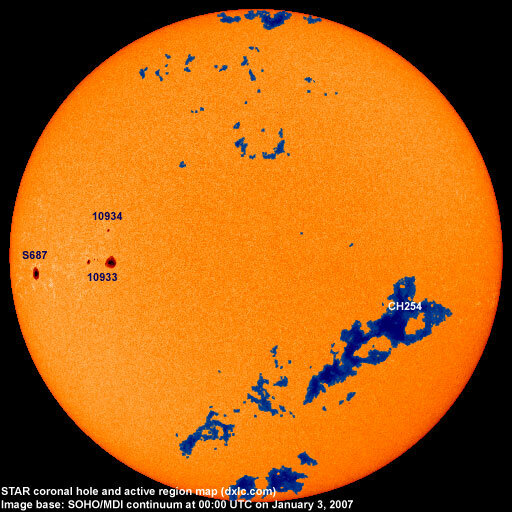 The geomagnetic field was quiet to minor storm on January 2. Solar wind speed ranged between 512 and 665 km/s (all day average 569 km/s - increasing 183 km/s over the previous day) under the influence of a high speed stream from CH254. Solar flux measured at 20h UTC on 2.8 GHz was 90.0. The planetary A index was 19 (STAR Ap - based on the mean of three hour interval ap indices: 19.3). Three hour interval K indices: 44245323 (planetary), 44344422 (Boulder). 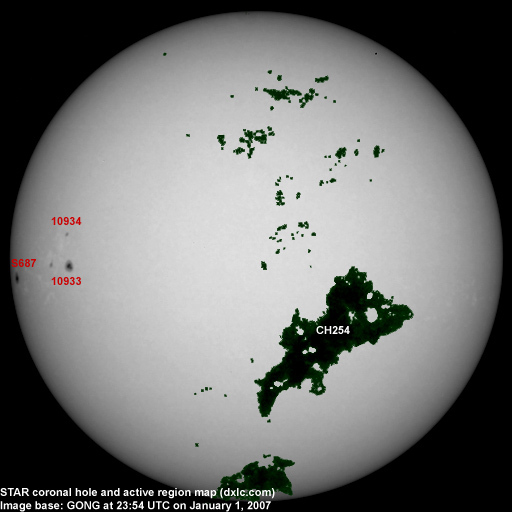 Region 10933 developed a few intermediate section spots and could produce C flares. Region 10934 decayed slowly and quietly. [S687] This region rotated into view at the southeast limb on January 1. It has one fairly large spot and has so far, inexplicably, failed detection by the USAF / SEC team. Location at midnight: S06E62. December 31 - January 2: No obvious partly or fully Earth directed CMEs were detected in LASCO imagery. 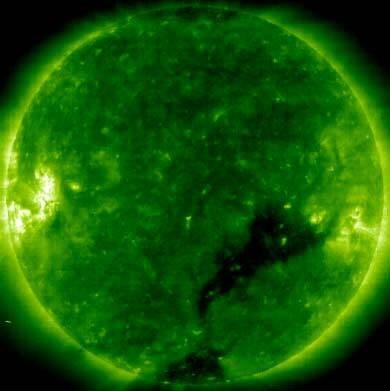 The geomagnetic field is expected to be quiet to active on January 3 due to a high speed stream from CH254 and quiet to unsettled on January 4-5.